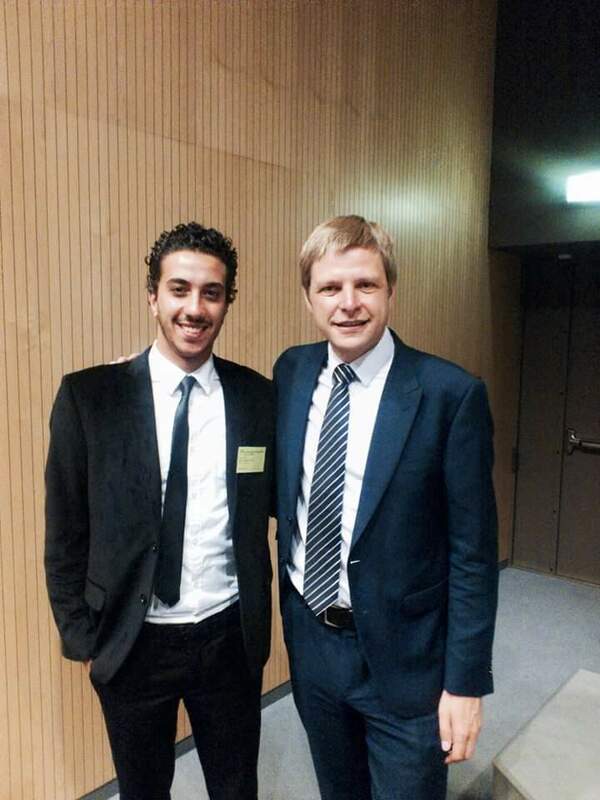 Alaa G Al Aridi is Lebanese residing in Lithuania. 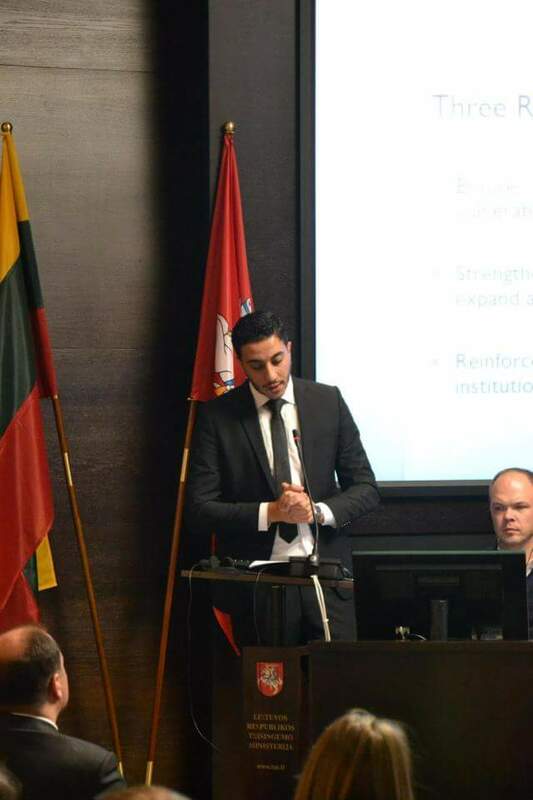 PhD candidate Public International Law department at Vilnius University, the Legal advisor of the Baltic & Arab Chamber of Commerce-Lithuania, Member at the United Nations Association of Lebanon, Board Member and the Legal Advisor of the Lebanese Youth Coalition Party (Liberal Political Party) , in addition to his membership in several NGOs. What brought you to Lithuania? what do you do here? I came for the first time to Lithuania September 2013 and stayed till February 2015. Then I came back for my PhD studies October 2015. Two main reasons: new Adventures and Research opportunities that I found here. I had two options for continuing my studies: Germany and Lithuania. I know a lot about Germany, but Lithuania was completely new for me. I love the feeling of being in a totally new place, with different climate, language, history and culture. In Lebanon I was working on my master’s thesis about Maritime territorial disputes. Nida, at the Lithuanian – Russian (Kaliningrad) sea borders, was part of my research and it was the first time I heard about Lithuania. When I came to Lithuania, after a while I went to Nida. I took a bike and went to the closest place I can reach at the borders. It was amazing how it felt when I finally visited the place I was talking about a year ago, in my paperwork. Have you seen any attitudes of racism and xenophobia in Lithuania? I wouldn’t call it Xenophobia nor racism. Its matter of Understanding Lithuanians, as they are a small family, and if a new member comes to the family he/she is going to be examined. They have a particular way to relate with the others, just as we all have our own way. Personally, I have never faced racism, even though I have travelled a lot and visited even small villages. 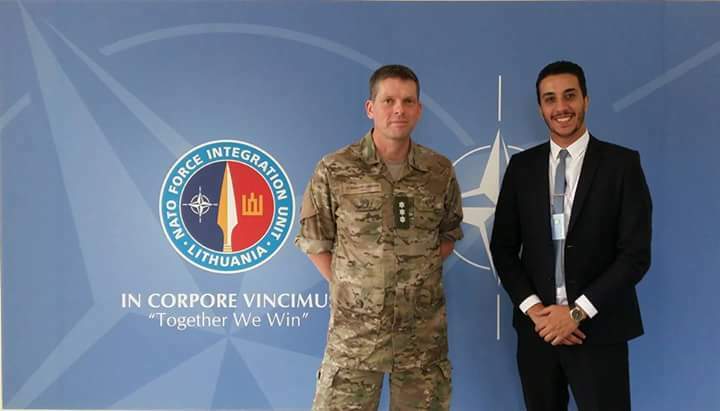 You are the Legal Advisor of the Baltic-Arabic Chamber of Commerce in Lithuania. Can you tell us a bit about it? The Baltic and Arab Chamber of Commerce (BACC) was established in Riga -Latvia in 2011 and it is a non-profit private organization working for the public benefit. Fulfilling its mission, the BACC assigned representatives of its main office in Estonia and Lithuania, in addition to MOUs and agreements with governmental, private organizations and institutions in all Baltic and some Nordic states. One of the cardinal objectives of the Chamber is to promote trade and business activities for interest of its member’s enterprises between Arab countries and Baltic States, in addition to Nordic states concerning developing the mutual trade and economic sector, endorsing the touristic projects, sharing our legal and investment expertise in consultation and mentoring to facilitate the economic and trade flow between all members and sectors that coordinate with the BACC. Because as far as we know, there are not a lot of relations between those two regions and we see great opportunities for establishing a very beneficial partnership. Do you think it can somehow help Syrian refugees? Concerning BACC, of course the main priority is different from helping Syrian or other refugees, but we also have other goals and one of them is, of course, social labour. When you bring foreign investments to the country you can create more opportunities, and we can help them by giving them support on consultations how to establish a new business, languages courses, etc. therefore, it will be beneficial for everyone. And as I insist that issue of integration is finding jobs and good opportunities for people seeking healthy integration and that doesn’t only include entirely refugees but also a student or an immigrant who came to Lithuania. And what is great so far about Lithuanians is that you can touch their willingness and active participation in helping foreigners to integrate in different fields of life, that makes me so happy and hopeful that we all can do a difference. There are millions of Syrian refugees in Lebanon. How is the situation managed? Are there any lessons for Lithuania? First of all, Lebanon does not consider them as refugees, because we are not part of 1951 Refugees Convention but we consider them as Displaced people. There are around 1.5 million of refugee and for those who don’t know, Lebanon is a small country 10 thousand km2 and 4 million population, so do the calculations and know the situation. Lebanon couldn’t handle it properly for different reasons. Many Syrians were working in Lebanon, because we had opened borders and not all of them were registered in Ministry of Labour with contract. But when the war started in Syria it forced them to stay in Lebanon because simply they just lost their homes, they needed support plus others that flee from the war, so all of them applied for humanitarian aid assistance. Plus, we have refugees from Palestine and Iraq. The exact number is not known, because in Lebanon we don’t have camp policy like Jordan or Turkey. The problem is that Lebanon cannot handle anymore, they need financial support, and Lebanon is having some financial problems that this flow of refugees is making it even worse. According to the latest statistics some families are living with 13$ per month from international aid, which is not enough. We are still struggling and helping them because those people have no other choice but to settle here until situation is better and then go back to their country. Thus, Lebanon, Jordan and Turkey need a lot of support. 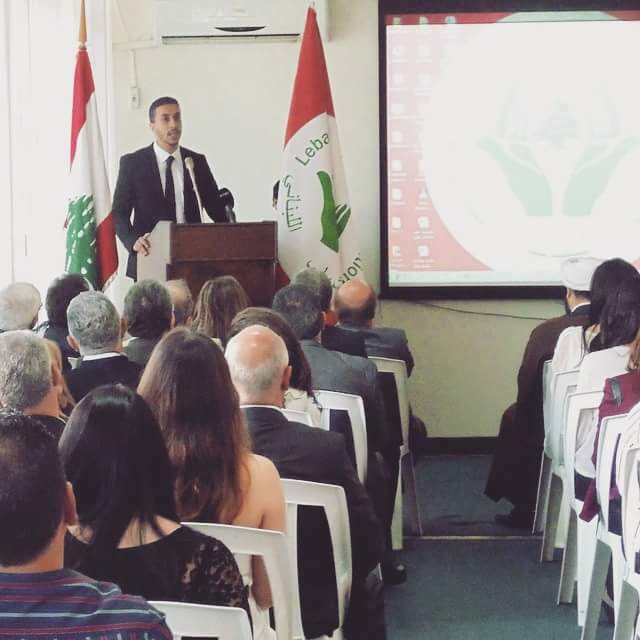 But the solidarity Lebanese showed with their good neighbours is outstanding, as Syrians are known of their great hospitality too and their ability to be a beneficial add to the country they settle in. More information about the topic is HERE. We have read your recent publication on ISIS. What do you think stops such groups from appearing in the first place? ISIS is not what people think. It is not a scary group trying to control the world. They are very foolish group. They get supported from different sides. Who supports them and who doesn’t can’t be limited because we don’t have exact information about it. But ISIS invests in “failed states”. In those states, with lots of poverty and ignorance, it´s easy to find new recruits. For lot of them, joining a group like ISIS is not matter of choice, because it´s their only opportunity to save their lives from brutality and not to starve or danger the life of their families. They don’t go according to the ideology or radicalized thoughts, but because situation and the fear of being persecuted. Who to blame? Well I blame some regimes in our part of the world, corruption and lack of opportunities. Where there is no democracy and no principles of freedom, education and development, people will go for bad decisions against their will. We should stop them by helping their countries, by promoting education system, being opened to them, being closer to them, understanding them, and by bringing them democracy, The Real one not fake democracy. What are your aspirations in the long-term? Do you plan to stay in Lithuania? I am a person who plans step by step. Coming to Lithuania or leaving Lebanon wasn’t in my plans. Now I am looking at Lithuania as a good starting point for a person coming to a new country. It’s a small country with not a lot of investments, so it offers a lot of opportunities for those who dare to accept challenges. But right now, I´m opened about my future. I wouldn´t mind staying in Lithuania, but neither I would mind leaving it. But I know for sure that a part of me will always be in Lithuania as I consider it my second home, a place where I met great people, and learned from their culture and experience a lot. You can read more about Alaa and his work HERE.